Dr. Mart Kenney started his band in Vancouver in 1931 and for 70 years has brought big band music to Canadians from coast to coast, including performing concerts for the Armed Forces during the Second World War. Kenney is also known for his volunteer work for his country, province and the town of Mission. This year he celebrates his 91st birthday and is currently advising the First Nations community on developing the archeological find in Hatzic. 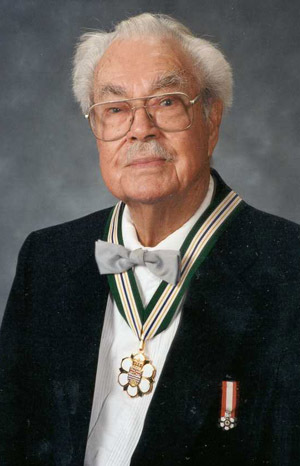 Kenney was awarded the Order of Canada in 1980 and has garnered many other awards over the years.